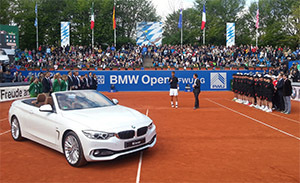 TennisProphet ATP Prophecies: who will win BMW Open by FWU AG 2018? According to our FREE contest on the BMW Open by FWU AG 2018 Philipp Kohlschreiber has a chance of 11 % to actually win the tournament! This tournament is already history, but test your tennis expertise in the next tournament! Copyright © 2019 Tennisprophet. All rights reserved.